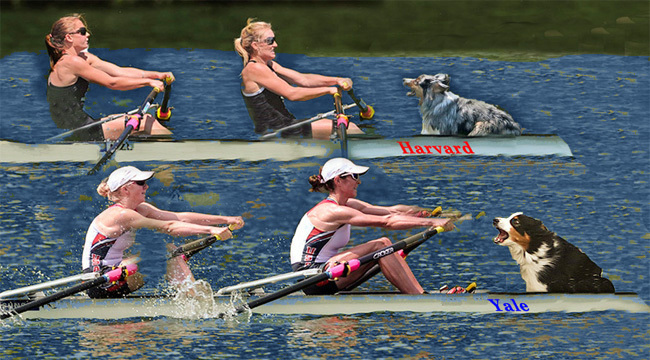 HARVARD-YALE REGATTA ON CROSSCURRENTS, 8/3 – Doggedly Yours… Howling, Humor, and History. HARVARD-YALE REGATTA ON CROSSCURRENTS, 8/3: The rowing race between Harvard and Yale began on this date in 1852 to become the most venerated and longstanding competition in collegiate athletic sports. Gavin and Wyatt have joined the crew as dog-coxswains to bark out orders. You are invited to join the rowing crew at the radio boathouse with John on Crosscurrents, 8/3 at 8 a.m.
Net apenas para vulgarização dos produtos.